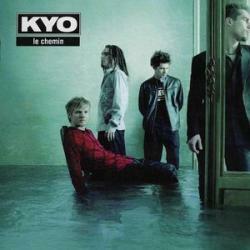 Kyo is a French rock band with lead vocals by Beno�t Poher. The band was active from 1997 to 2005 with three albums Kyo (2000), Le Chemin (2003) and 300 L�sions (2004) and a string of singles. It announced a hiatus in 2005 without a definite break-up. In 2006, Kyo was involved in launching "L'Or de nos vies" written by Kyo and its lead singer Beno�t Poher for the Fighting AIDS charity in 2006. Kyo had a comeback in 2013 with the album L'�quilibre.